Lilacs & Lace: The search for the perfect blouse continues . . . 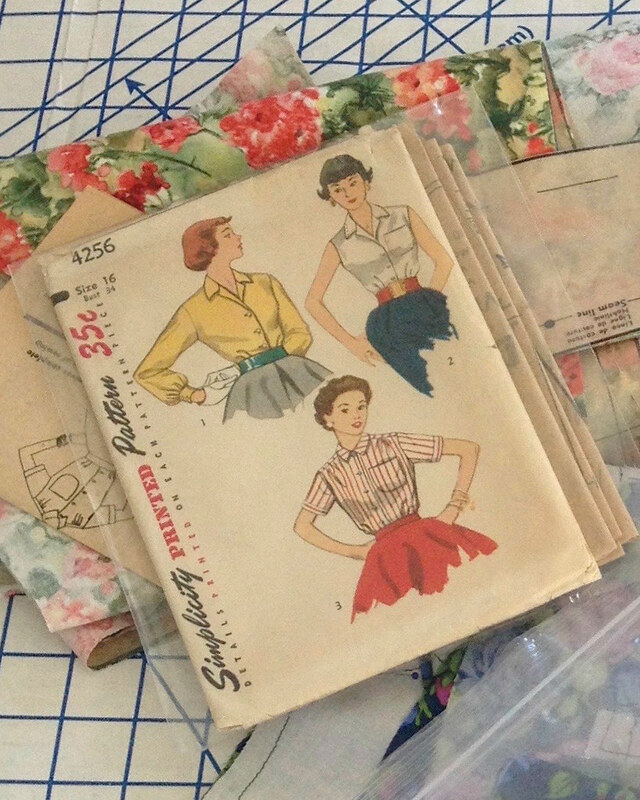 In my quest to find the perfect blouse pattern, I came across Simplicity 4256. I picked up this factory folded pattern at a local pattern swap a few months ago thinking that it might be just right! Depending on fabric choice, this design has quite a few possibilities. 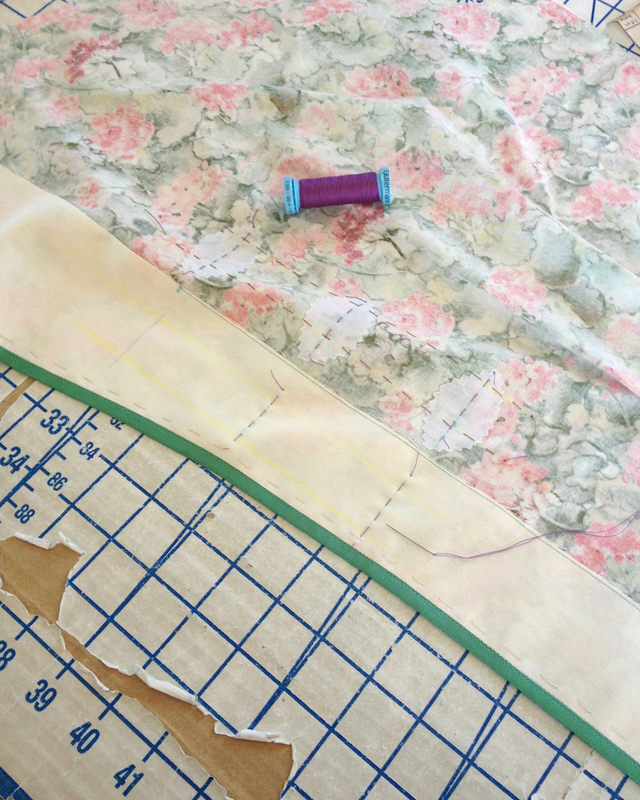 I managed to squeeze all of the necessary pieces out of a small cut of fabric that was just over one yard. It was a bit of a stretch, but I really am trying not to purchase new fabric whenever possible. 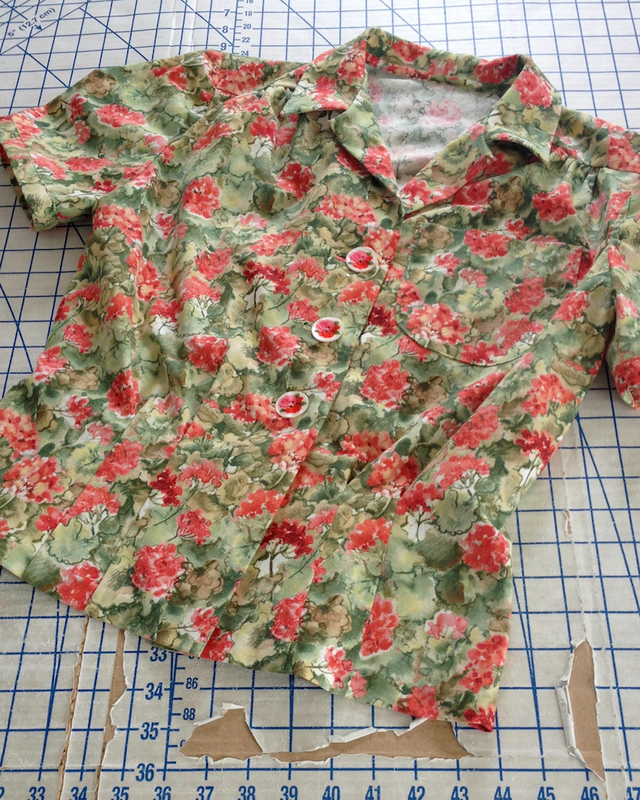 It turns out that every button, thread, and bit of fabric for this particular project was pulled from the stash. Hooray! After a recent tussle with my buttonhole foot, it was an easy decision to go with bound buttonholes. They have never failed me yet . . . and I don't imagine they ever will. But this time around, I decided to try something new. 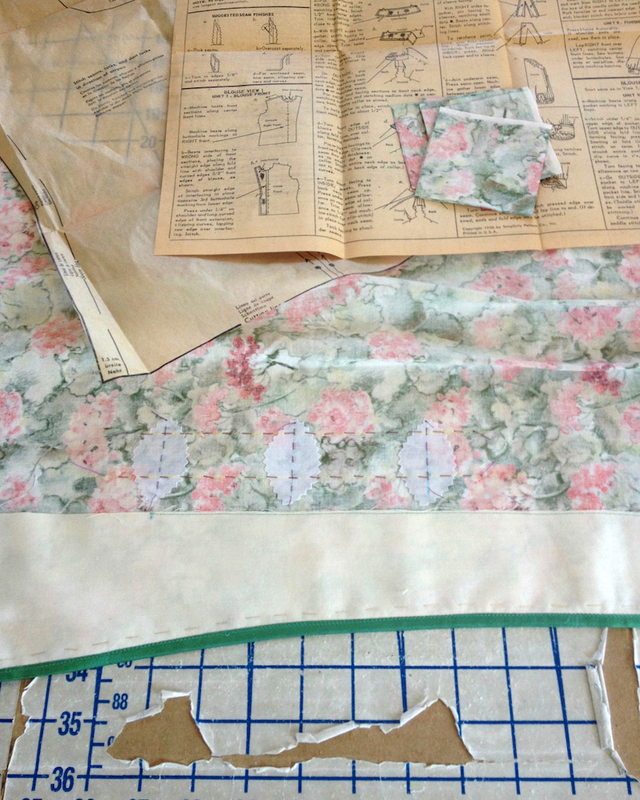 I stabilized the area around the buttonhole with small scraps of fusible interfacing. 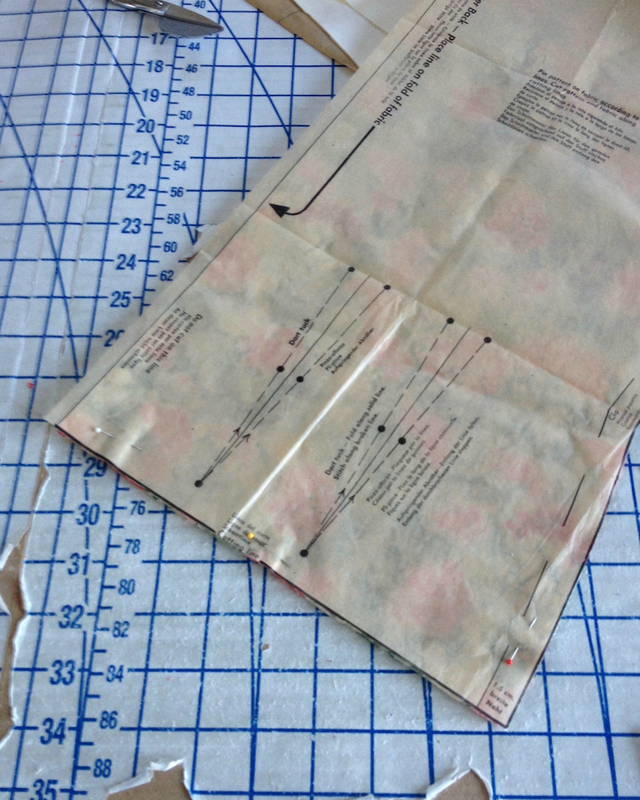 My sew in interfacing was stitched to the cut-in-one facing as suggested in the instructions. 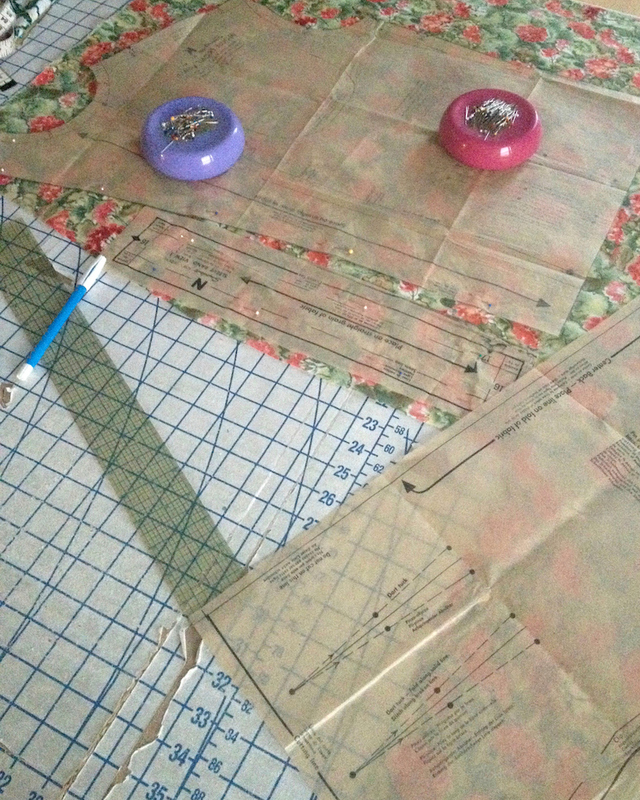 I still prefer a sew-in interfacing to fusible, but this is definitely another option. 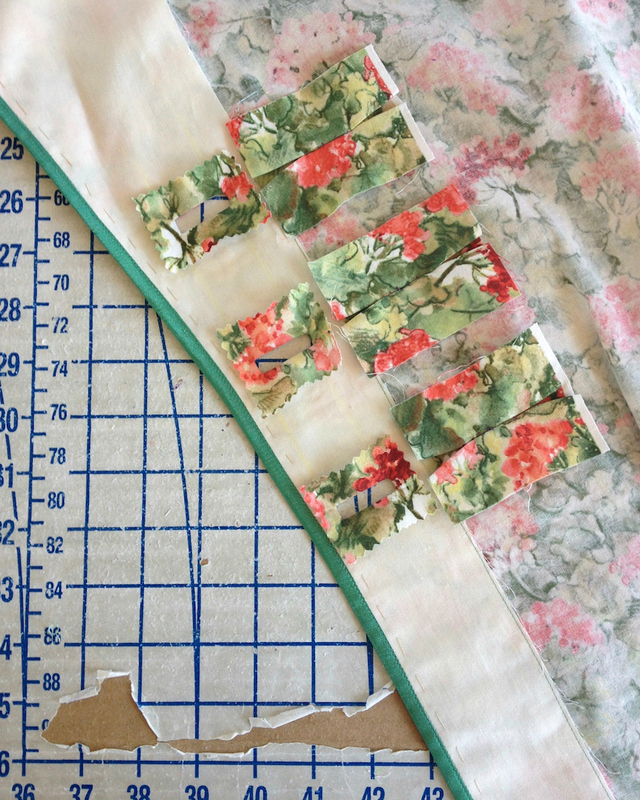 And since I am only dealing with tiny scraps of fusible there is a very slim chance that the interfacing will let me down. After the facing was in place, it was time for some hand basting! So add three more bound buttonholes to my lifetime total. I am not sure what that number is, but it is certainly a large one. I love everything about this! 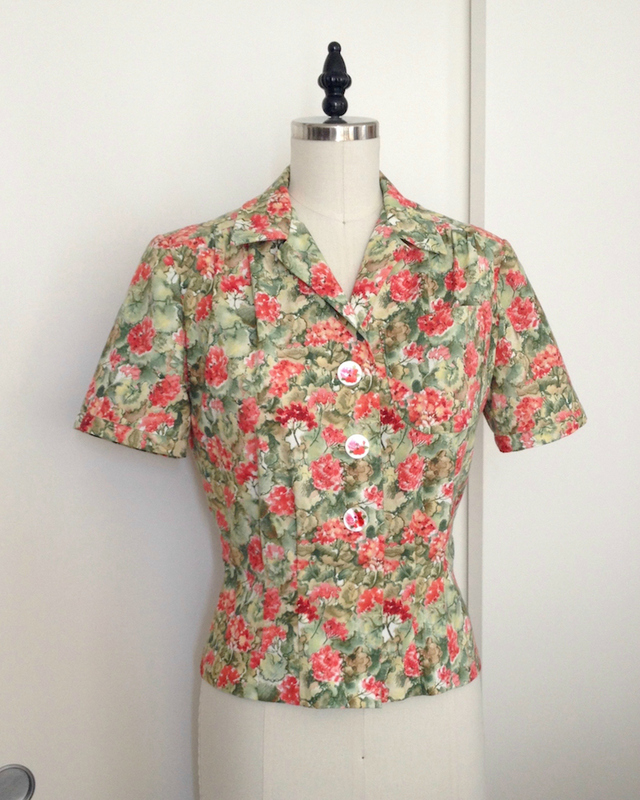 The pattern is gorgeous, blouse shaped beautifully (looooove vintage blouses! 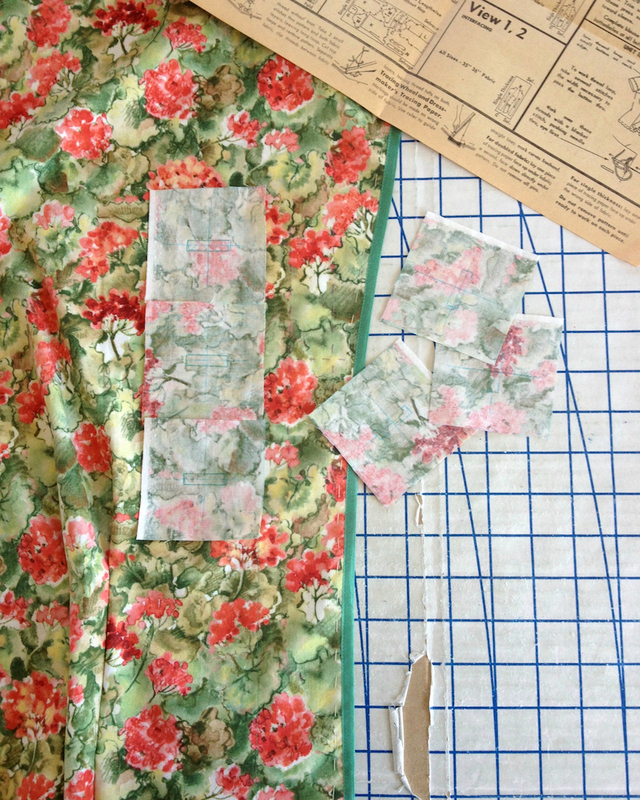 ), fabric, buttonholes, etc. Swoon! Very, Very nice. Love the pattern, too! Soooo cute! I too search for vintage blouse patterns. There is just something so dear about them (both the patterns and the final garments) and garments themselves seems to be something difficult to find in the RTW market. Yours is lovely and I bet you will get a lot of wear from it! Beautiful! Such lovely colors and the buttons are perfect! Love the pattern and the fabric is gorgeous. Such a pretty blouse! "Vintage collars" are so much more feminine. Indeed, the fit profile for that time and style of blouse is much more flattering than recent decades. They are the ones I reach for again and again. 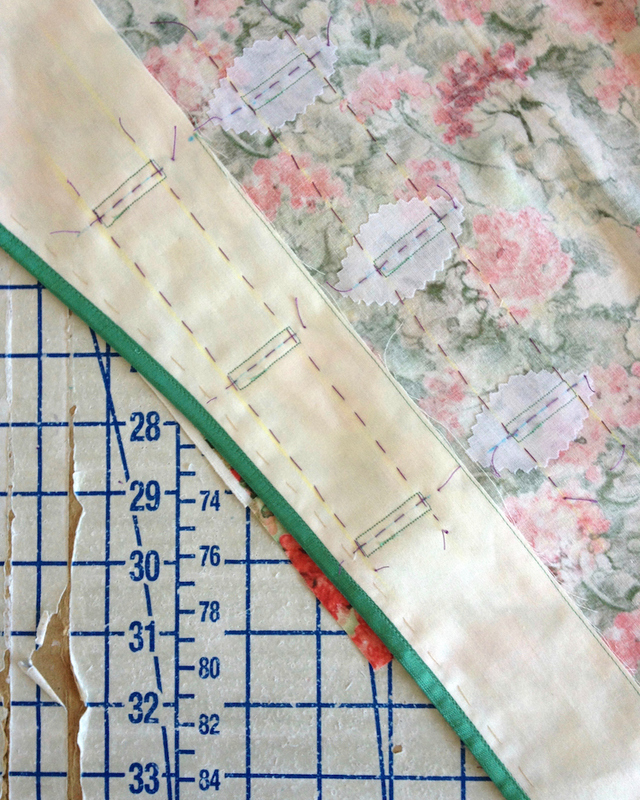 And such lovely buttonholes; the fusible interfacing is a great tool in that instance (one less thing to baste, and yes it will unfuse later, but by then, it doesn't matter). Simplicity 4256 was an extremely popular blouse pattern back in the 1950s. Seeing your excellent version, I can see why. Congratulations on a beautiful blouse! You'll like the new simplicity patterns, methinks.